Hello everyone! I’m happy to announce a new 7 Dots Studio Design Team Call 2018! 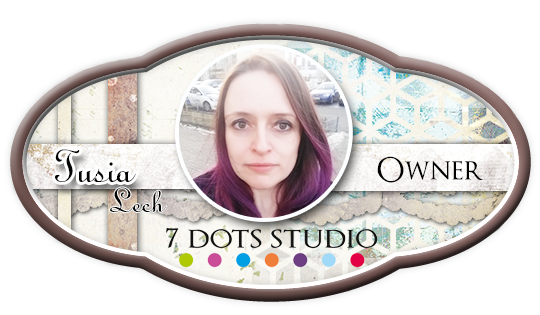 Do you love to work with 7 Dots Studio products? 1. Professionalism – the ability to meet deadlines and conduct yourself professionally. 2. Strong Sense of Style – ability to create original and creative projects. 3. Photography – skills to take clear, sharp photos. 4. Blogging skills and an active blog. 5. Active social media: Facebook, Instagram. 6. Being able to create tutorials: Video or step by step. 7. Communicative English and ability to write posts in English. 8. This call is open internationally and we are looking for layout specialists, cardmakers, tag makers, mixed-media artists, mini-album experts, and off-the-pagers in every style! (1-2 projects per month). 1. A box FILLED with 7 Dots Studio products. 2. Promotion of your name/work on all our social media: Facebook, Twitter, Pinterest and Instagram. 3. Working with high quality products in the scrapbooking industry. 4. Cross Promotion opportunities and Guest Design team spots. 5. A 6 month term with possible extension (the term starts December, 1st). 6. DT discount to be used in our store. 2. Put “7 Dots Studio DT Application” in the subject line. 3. Include your name and Country of residence. 4. Add links to your blog and social media. 5. List any other Design/Education Teams you are on. 6. 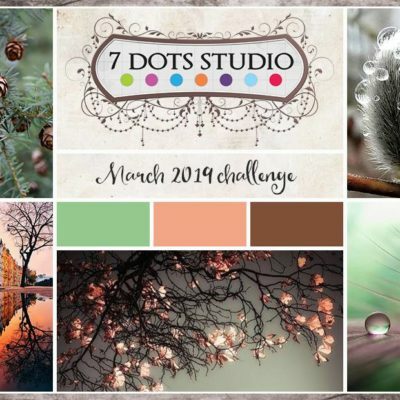 Tell us why you want to be on the 7 Dots Studio Design team. Deadline, November 5th, 2018, midnight CET.